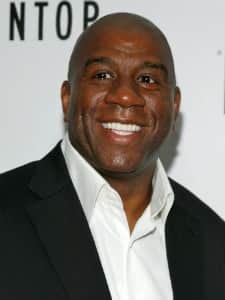 Earvin 'Magic' Johnson Jr. is a retired American basketball player. 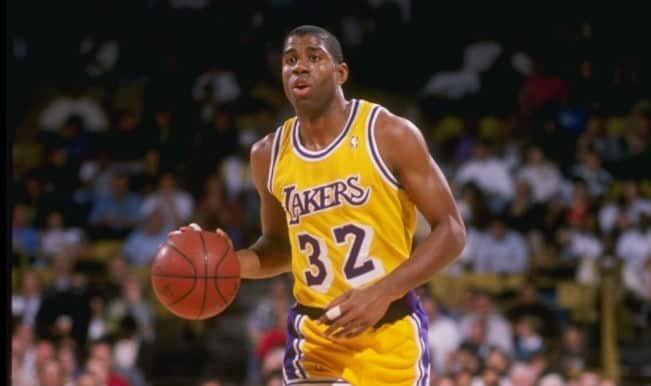 Born on 14th August 1959, Johnson played point guard for the Los Angeles Lakers of NBA. He appeared in the NBA draft for the first time in 1979 by the Lakers. He was awarded NBA Finals Most Valuable Player Award. Johnson also won five championships for the Lakers. After an abrupt retirement in 1991, he returned to play in the 1992 All Star Game and won the All-Star MVP Award. His abrupt retirement was due to his health issues as he has announced he acquired HIV. 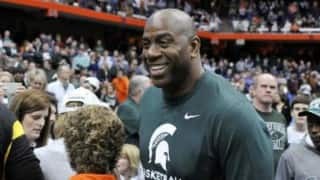 Johnson acquired a 'Triple crown' for winning an NCAA championship, NBA championship and an Olympic gold medal and became one of the seven players to receive the tag. After his retirement he turned towards business and was a part owner of Lakers for several years. Johnson was named as one of America's most influential businessmen in 2009.